Waiting on direct flights … Cairn’s retailers are banking on the Chinese market. The GFC, the high dollar and natural disasters have created a perfect storm in Cairns, writes Frank Robson. 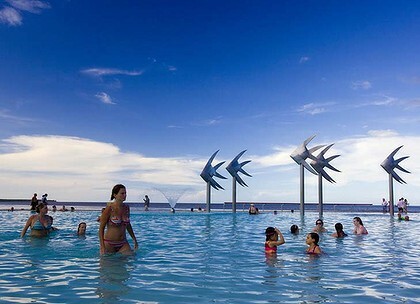 Stroll along The Esplanade in Cairns – where scores of tourism outlets tussle grimly for passing trade – and you can start to feel like a banknote on legs. “Hello!” cry attendants to passing strangers from the doorways of cafes and restaurants, their hopeful smiles fading as each potential dollar moves on. All along the tourist strip, tour companies and their agencies display racks of brochures for countless struggling attractions spread across Far North Queensland, each one a survivor of the longest, most comprehensive slump ever to strike the region. At night, while rival coach operators vie for backpackers to take on pub crawls, restaurants with prices already pared to the bone hire young women in short dresses to stand on the pavement spruiking their menus and feigning interest in the doings of tourists. More than 400 small businesses and several large development companies have gone to the wall since the slump began to bite about five years ago. Compounded by the closure of the Cairns-based Australian Airlines in 2007, as well as the global financial crisis, the Asian financial crisis, the high Australian dollar, and the natural disasters of 2010-11, the downturn became a locally focused recession affecting not just tourism but almost every aspect of the economy. Tourism, which returned $2.6 billion across the region in 2005-06, is now down by about $300 million, and Cairns (population 160,000) has an unemployment rate of 9.8 per cent – among the nation’s highest, and double the state average. And despite promising signs of a recovery led by Chinese tourists, the European, UK and US markets – once the bread and butter of local tourism – remain mired in their own economic woes. Bigger businesses such as that run by Davies have hung on by cutting costs, reducing staff, delaying equipment upgrades, and (to the horror of their marketing teams) sharing boat space with rival operators on days when there aren’t enough passengers to make two cruises viable. Other major companies have been forced to diversify, merge or chase government tenders to get by. But small retailers have been left with nowhere to hide. For veteran publican Gayle Scowcroft the crunch came last month, when she was forced to call in a liquidator, cut her losses and close the doors of the 114-year-old Cape York Hotel. Scowcroft’s six-year battle to make a go of it seems to bear testament to the reigning wisdom among local hard heads. (“Tourism in Cairns has changed forever,” asserts one real estate agent. “Forget sentiment; from now on only the lean and mean will survive.”) But the popular and easy-going ex-publican, while admitting she made mistakes, has a different take on the circumstances that left her “on the bones of my bum” and $100,000 in debt. “The whole thing made me realise just how much our country is based on greed,” says the one-time Toowoomba school teacher who, with her late husband, Doug, had operated three other pubs before she and her son Ben took over the historic Cape York Hotel in 2006. But by 2010, she says, three new supermarket-owned liquor outlets (two Dan Murphys and a First Choice) had opened in Cairns, and her drive-through bottle shop couldn’t compete. The worsening tourism slump, rising rents, electricity and insurance costs added to her dilemma. “I saw the writing on the wall, but I was pigheaded and a bit proud and I just wouldn’t give up. My landlord wouldn’t negotiate on the rent, despite the hard times. Then my insurance went from $16,000 to $30,000, and they demanded the whole lot or I’d be uninsured … that’s when I knew I’d have to get out.” Scowcroft says she’ll stay in Cairns and try to find other work – “Perhaps on the political side of things. I’d like to do something to help the place recover.” Her former landlord, Hanh Huu Hoang, says he’ll reopen the pub as soon as possible. Over the past few years, the slump has also claimed three of Cairns’ largest construction/development tycoons: one-time plumber Tom Hedley (whose Hedley Leisure and Gaming Property Fund was valued at $1.2 billion in 2008); Roy Lavis (whose CEC Group collapsed last year with debts of almost $135 million); and Glencorp and Glenwood Homes owner, Udo Jattke, who shut his 30-year-old business last year owing $30 million. During his time as a journalist with The Cairns Post, Gavin King wrote about these closures being part of a domino effect triggered by the tourism slump. Now, as the new Liberal National Party state member for Cairns (the first conservative elected to the seat in more than a century), he says locals hadn’t realised how inexorably their fortunes were linked to tourism until the “big three” went under. The Chinese market in Australia is potentially so big tourism operators haven’t enough adjectives for the wonders they believe it will unleash. In Cairns – long vexed by the geographic isolation that separates it from major tourism air routes – the word they invariably use is “salvation”. Charles Woodward’s CaPTA Group has been marketing its local tourist attractions in China since 1997. Raised on a cane farm in what is now part of Cairns’s inner suburbs, Woodward was among a handful of entrepreneurs who helped open the region to international tourism. With Jim Wallace, founder and former owner of the Quicksilver Group (and now owner of Big Cat Green Island Reef Cruises), and a few others, Woodward formed a “marketing mafia” and toured the world promoting his birthplace and the Great Barrier Reef. He opened his famous Rainforeststation Nature Park at Kuranda in 1976, since bolstered by other nature-based attractions, including the Cairns Wildlife Dome atop the Cairns Casino. “Most of our tourists were domestic until the Cairns International Airport opened in 1984,” Woodward says above the screech of free-flying parrots in the nearby Dome. After another boom period in 2004/05, the lean times set in and Woodward has since reduced his staff of 300 by about a third. “We’re now heading into the Chinese phase,” he says confidently. “The moment we get direct flights, the Chinese market here will take off like it did in the Japanese boom.” Even without direct flights, 70,000 tourists from mainland China are visiting Cairns annually, mostly via Melbourne, Sydney or Brisbane. Which sounds a bit like customer service in Cairns, where larger tourism operations are already schooling their staffs in to be “China-ready”. India’s iron ore demand projection by BHP is a concern far more important than Greece collapsing or the euro being scrapped. Amidst the petty local political noise, the really big message in the speeches by BHP’s chairman and CEO this week was entirely missed: implicit in the iron ore demand projections is that India isn’t going to do a China, that India won’t spectacularly industrialise in the East Asian manner. The Goldilocks scenario for the Australian economy is that growing commodities demand continues to underwrite our economic growth for decades to come thanks to India picking up the slack as the Chinese economy matures and the surge in its steel intensity comes off the boil. It has been assumed that India’s inevitable industrialisation was running a neat 15 or 17 years behind China and then would be turbo-powered by a population that continues to grow strongly, overtaking China soon enough on its way to 1.6 billion in 2050. The message from BHP this week is that demand for iron ore flattens out as China’s growth trajectory moves into the greater consumption phase from a concentration on construction and infrastructure. Ipso facto, India doesn’t take off. For Australia’s selfish medium-term prospects, that is more important than Greece collapsing or the euro being scrapped. We are still promised another decade of strong commodities production growth with its attendant capex boom, but the reckoning for the lucky country in the way it has invested its boom-time money moves much closer. For the world’s second-biggest nation on its way to becoming the most populous, it’s a tragedy of mammoth proportions, condemning most of that massive population to continue living in dire poverty. Without industrialisation to provide jobs for the existing third of the nation living on a few cents a day, let alone the hundreds of millions more entering the workforce, there’s a bleak future that will test the nation’s already-stretched social fabric. The rise of India’s middle class has been based on new industries that have arisen beyond the dead hand of the nation’s vast and corrupt bureaucracy. That middle class is large in numbers by any other country’s standards, but it remains a minority in India and the gap between middle class and the majority grows. Half of Indian homes don’t have a toilet, by some reckonings, a third of the nation doesn’t even have access to adequate sanitation. And there’s no sign of such markers changing while the country remains on its current course. 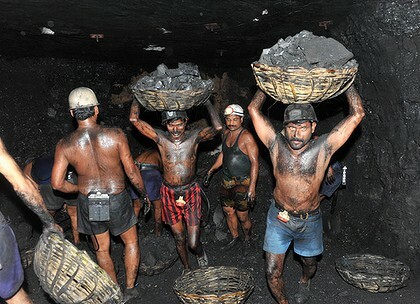 The idea that India can somehow skip industrialisation and launch straight into a post-industrial economy is fanciful. Adding another half a billion people over the next four decades makes it fantastical. But right now in Australia, people are much more focused on someone suing her school for failing to get an extremely high mark – perhaps a new peak for the national dedication to entitlement. So we go. AUSTRALIA must find a ”godfather” to protect it and cannot juggle its relationships with the US and China indefinitely, according to a prominent Chinese defence strategist. 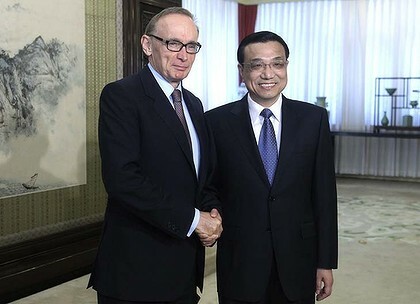 The warning by Song Xiaojun, a former People’s Liberation Army senior officer, comes after the Foreign Affairs Minister, Bob Carr, was told by his opposite number that Australia’s close military alliance with the US was an outdated throwback to the Cold War era – an issue raised in two other meetings with senior Chinese officials. Senator Carr yesterday met with the man expected to become China’s next premier, Li Keqiang, in the closely-guarded Zhongnanhai leadership compound in Beijing. Discussions centred on more conciliatory matters, including furthering trade and investment and discussions to move along a long-mooted free-trade agreement in the 40th year of diplomatic relations between the two nations. But the question of Australia’s allies in the Asia-Pacific region remains an issue. ”Australia has to find a godfather sooner or later,” Mr Song told the Herald yesterday. ”Australia always has to depend on somebody else, whether it is to be the ‘son’ of the US or ‘son’ of China. Mr Song said Australia was dependant on exporting iron ore to China ”to feed itself” but that it had not done enough to engage with the middle kingdom. ”Frankly, it has not done well politically,” Mr Song said. With heightened sensitivity in the Asia-Pacific region over the strategic impact of Australia’s decision to allow the US to have a permanent troop presence in Darwin, Senator Carr has been keen to emphasise that it has a strong record of military co-operation with China as well. Speaking to reporters on Monday, he said Australia was just one of two countries that had a strategic defence dialogue with China, which occurred at the chief of defence force level. The next dialogue will be held in Beijing later this year. Senator Carr said Australia was the first Western nation to co-operate with China on a joint humanitarian aid and disaster relief exercise in Chengdu last year and the first to hold a joint live fire exercise with the Chinese navy in 2010. HMAS Ballarat will moor in Shanghai tomorrow to mark the 40th anniversary of diplomatic relations and to further symbolise close military co-operation between the countries. Speaking at yesterday’s meeting, Mr Li and Senator Carr were keen to highlight the positive diplomatic relationships between their two nations. Senator Carr told Mr Li he was ”very conscious that this is the 40th anniversary of our diplomatic relations” and it was ”an opportunity to renew and refresh and recommit to the relationship”. ”My meeting today with Vice-Premier Li was an excellent opportunity to discuss ways to advance the Australia-China relationship, which has gone from strength to strength in recent decades,” Senator Carr said in a statement. Tiger Mums: fierce or foolish? There is one thing Amy Chua, author of Battle Hymn of the Tiger Mother, got right – the “tiger mum” parenting style is not restricted to the Chinese. It is flourishing in other parts of the world as well. The pressure to succeed academically, gain a place at a top school or university and pursue a profession of ‘worth’ is also striking amongst those living in south Asian countries like India, Pakistan and Bangladesh. Fazal Rizvi, Professor in Global Studies in Education at the University of Melbourne, says that even though south Asian parents are becoming more “eclectic in the choice of careers they recommend to their kids,” there are still many that push their children to choose a ‘prestigious’ occupation like medicine, engineering or law. In fact, they are going to such great lengths that Amy Chua recently remarked that Indian tiger mums may outnumber China’s. Indian parents spend up to 33% of their monthly income on their child’s education, often including private tuition or ‘cram schools’. Those that make it into an esteemed institution promote the prestige of their family, says Professor Rizvi. Yet those that don’t often sink into depression or in extreme cases, commit suicide. The Times of India reported that student suicides had jumped 26 per cent between 2006 and 2011 and blamed it, in part, on the immense pressure parents place on their children to achieve high grades. Those that study overseas don’t escape the pressure either. This is because, for parents, with their investment comes the expectation for children to be an “instrument for social mobility,” Professor Rizvi says. Mrs. Dhaliwal fosters this aspiration by engaging in private tuition. She is hoping that her eldeset daughter can finish her Year 9 Maths syllabus by the middle of the year so she can get a headstart with the Year 10 syllabus. Unlike Amy Chua though, Mrs. Dhaliwal does allow her daughters to take breaks to visit the restroom when they wish, watch TV and choose their own musical instrument to play. However, she does not allow her daughters to sleepover at friends’ houses and says sports can be “time consuming” and might cause them to “fall behind in their studies”. Pushing children is so inherent in the south Asian culture that many migrants also adopt the approach. Rossbell Singh is Fiji-Indian. Her strict upbringing highlighted the importance of discipline. She is keen to pass this on to her own son so, to establish a routine of studying, she employed a private tutor. When he started kindergarten. “It is my duty to help him out and give him a basic start in life,” she says. This basic start involves tuition three times a week, tuition homework and Year 1 homework along with additional extra-curricular activities, like practising writing and spelling tests. Mrs. Dhaliwal and Mrs. Singh insist they are not tiger parents or as strict as Amy Chua. But, Dr. Shailja Chaturvedi, psychiatrist and president of the Australian Indian Medical Graduates Association, warns against pushing children too hard. The controversy surrounding the alleged bashing of Chinese students in Sydney is showing no sign of abating as China’s largest television network and consular officials warned that Australia was no longer safe for Chinese students. Six people, aged 14 to 18, allegedly robbed passengers, including two Chinese students, on a train between Central and Rockdale about 12.30am on Monday. Officers were called to Rockdale station about 15 minutes later, where they arrested three men, two aged 18 and one 19, a 14-year-old boy and two girls, aged 16 and 17. They were all charged with a number of robbery and assault offences. The alleged robbery included racist taunts. 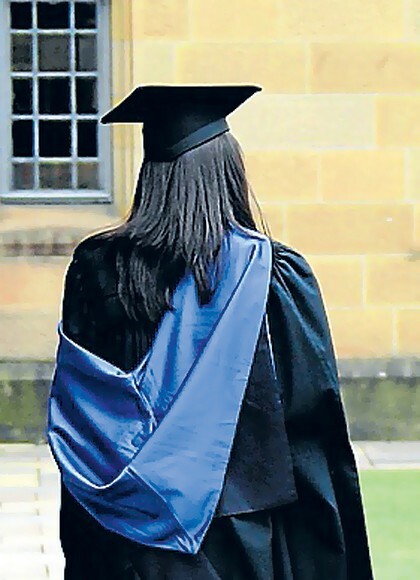 China Central Television, the state network with hundreds of millions of viewers throughout the country, has warned the rising youth crime rate in Australia posed a threat to the safety of Chinese students. “Once upon a time, Australia had one of the lowest crime rates in the world and was considered one of the safest places to study. However, the safety of overseas students studying here is under threat from escalating youth crime,” CCTV reported. The news report also alerted viewers to the spate of shootings in Sydney this week and said some cases involved under-aged offenders. The Chinese consulate-general in Sydney also posted a travel warning on its website and warned its citizens to avoid unnecessary travel after dark. A Foreign Ministry spokesman said that China was very concerned about the incident and urged Australia to improve its public security. Peak students bodies in Australia have also issued strong statements in support of their overseas peers. “The train attack on Chinese students in Sydney over the weekend will not be a welcoming prospect for those considering to study in Australia in future and we request an inquiry into making these services safer for our valued international student cohort,” said Chamonix Terblanche, national president of the Council of Australian Postgraduate Associations. One of the victims of the attack, known as Xuan, suffered from a fractured nose and burns from a lit cigarette. The international student from China is seeking a master’s degree at the University of Technology, Sydney. A translation from Xuan’s blog on the Chinese social media site Weibo reads: “I really wish all of this is just a nightmare. However, the smell of blood in my mouth and body pains reminds me that this city is so dangerous. “A gang of hooligans attacked us. Our noses are fractured and our bodies are covered in blood. My friend’s cheekbone was crushed. They attacked us with glass and burnt us with lit cigarettes. My face is burnt and totally disfigured! Worst of all, I really hated their racist comments. After receiving a report of the attack, former foreign affairs minister Kevin Rudd raised the issue with various interested parties, such as the Chinese ambassador in Canberra and the Minister for Immigration Chris Bowen. The Mandarin-speaking MP also put his language prowess to use and posted sympathetic comments on the Chinese social media site Weibo. Peter Cai is The Age’s Asian Affairs Reporter. Could this be the biggest con job ever visited on the Australian public? Forget Ern Malley, the campaign waged by the mining companies against the original mining tax emerges as Australia’s most costly national swindle, both in terms of the cost of the heist – $22 million for a six-week television advertising campaign – and the continuing hit to budget coffers – $60.5 billion in revenue lost over 10 years. To put that in perspective, for every dollar the mining lobby spent fighting the tax with emotive ads, featuring wholesome-looking miners, it saved another $2750. But far from cutting back on investments, BHP Billiton this week revealed its true intentions. In fact it plans to invest an additional $80 billion over the next five years, mainly in Australia, to expand its production capacity, despite the proposed, watered-down, mining tax. Sure, this sum could have been even bigger if there were no tax at all, but $80 billion is still a substantial investment program, particularly in an economy running at close to full capacity. To put that in perspective again, BHP Billiton will be spending more each year on new mines and equipment than the federal government will spend on the nation’s primary and secondary schools (about $14 billion a year). How did we let ourselves be convinced taxing miners’ ”super profits” would force them to walk away from some of the world’s richest resource deposits? That so-called sovereign risk concerns would forever deter foreign investment in Australia? That is now the $60.5 billion question. It is all too easy, albeit appropriate, to blame politicians. Tony Abbott opposed the tax to feed his ”great big new tax” scare campaign. Kevin Rudd failed to consult the mining industry and then failed to sell the need for the tax to an uncertain public. The fledgling Prime Minister Julia Gillard caved in to the mining industry in an attempt to ”clear the decks” of a policy and electoral headache. Nor should it be a surprise that the mining companies decided to fight tooth and nail against the tax. Their obligations to shareholders all but demanded it. But why did ordinary Australians shun the tax? As collective owners of the rich iron ore and coal deposits we stand on, why was it so easy for the mining industry to convince us the tax was a dud? I suspect it was because, fundamentally, the original super profits tax was too complex to understand. Which is not to say it was a bad tax; it wasn’t. Just that it involved mastery of a few theoretical arguments, like uplift rates and the present value of future tax concessions. It was structured so that the government in effect became a silent venture partner with miners, taxing them more heavily in good times, but granting them concessions in bad times. Theoretically pure, but hard to understand without an economics degree. The price of our ignorance is now abundantly clear, with Treasury’s estimates that the new tax will raise just $3 billion a year towards the second half of this decade, down from $10 billion plus in the original design. Of course, these are just projections. They depend on a number of factors including commodity prices and movements in the Australian dollar. But the loss will be substantial. Having walked away from billions of dollars, perhaps the best we can hope for now is that we get the $40 billion the new mining tax is forecast to raise. The resource super profits tax was a good tax. But so is the mineral resources rent tax, for a host of reasons. Firstly, it meets a fundamental principle of good tax design, that you should tax most heavily the things that can’t move, so you don’t create incentives for tax avoidance. It’s why broad-based consumption taxes, such as the GST, are good, and transaction taxes, such as stamp duties, are bad. What could be more immoveable than minerals buried hundreds of metres below the ground? Secondly, it continues, albeit somewhat less effectively, the idea of replacing state-based royalties, which tax miners as heavily in bad times as in good, deterring investment in some riskier projects with long lead-in times. The new mineral resources rent tax also satisfies the criteria that it only kicks in when miners are earning a ”super-normal” profit, that is those above a certain deemed commercial rate of return. Importantly, taxing the super-profitable mining industry also has benefits for the wider economy. By capturing a greater share of profits, (assuming the money is saved, not spent) it helps to take some of the heat out of a strong economy, easing pressure on inflation. In a speech this month a senior Treasury official, David Gruen, predicted rising living standards in China and India would continue to power the Australian economy for years to come. Rising urbanisation means rising demand for the metals and minerals needed to build roads, railways, homes and appliances, everything a modern Chinese or Indian family could want. ”China and India should continue strong catch-up growth for at least a few more decades – and certainly for the next 15 years,” Dr Gruen says. By keeping interest rates lower than otherwise would have been the case and easing upward pressure on the dollar, taxing mining can also help to even up the two-speed economy. Make no mistake, manufacturing is still likely to decline in relative terms as mining booms, but higher taxes from mining can be spent on helping some people adjust to new careers, new lives. But there remains considerable political work to do before even the new version of the mining tax passes Parliament, ready for its proposed start date of July next year. Mining companies are threatening all-out war again if Gillard does not agree to reimburse them all future state royalty increases. But to do so would be to write a blank cheque to state governments to increase royalties, potentially eating up a large portion of the revenue raised through the mining tax. BHP’s record profit suggests it is mining companies that should shoulder the risk of higher royalties, not taxpayers. Chinese exports plunged sharply in May, posting the seventh straight monthly decline, customs authorities said, highlighting the continued impact of the global economic crisis. The world’s third-largest economy posted exports worth 88.8 billion US dollars last month, a fall of 26.4 percent from the same month last year, the customs data showed. Meanwhile, Chinese imports totalled 75.4 billion US dollars, a drop of 25.2 percent, officials said. The trade surplus in May stood at 13.4 billion US dollars, according to the authorities, who did not provide a percentage change compared with the same month last year. Despite the steep year-on-year decline, the figures represented an increase month-on-month, with exports up 0.2 percent from April, and imports up 4.4 percent. China has been severely impacted by the global economic crisis, with traditional markets in North America and Europe taking fewer of its products. Since the export sector is a big employer in China, the government has been forced to come up with solutions to ward off hard times. Most startlingly, it unveiled a 580-billion-dollar fiscal package late last year, aimed at lifting the economy mainly through investment in large infrastructure projects. AUSTRALIA’S big miners are pushing for a merger of 11 industry bodies in a bid to cut costs and centralise lobbying power under the Minerals Council of Australia. Organisations targeted under the plan include the Australian Coal Association, the Australian Aluminium Council, the Australian Uranium Association and state and territory minerals councils. A letter signed by chief executives at 11 companies, including BHP Billiton, Rio Tinto and Xstrata, says it would “improve national consistency” and reduce a combined operating cost topping $45 million a year. “Quite simply, we will not continue funding organisations as separate entities to the Minerals Council of Australia as we have previously,” it says. Sent on the eve of Easter, the letter has angered some industry bodies and their junior member companies. Most declined to speak, but industry insiders said they feared concentrating power in Canberra would strip some commodities of representation and deny others a strong voice at state level, where much of their business lies. Tony Fawdon, executive chairman of minerals explorer Diatreme, said the Queensland Resources Council had been crucial in the industry winning $50 million from its State Government in 2006. He said the national minerals council sat in an ivory tower with little idea of what happened at state level. Minerals Council chief executive Mitch Hooke said the plan was a commonsense approach that would “enhance regional capacity, not diminish it”. He said the states would continue to be represented by branches within the national council, as Victoria had been since a merger in 2004. The Northern Territory Resources Council had already volunteered to take part. Mr Fawdon said this meant little: the Victorian minerals council was “pretty toothless”, unlike its counterparts in Queensland, South Australia and Western Australia. Mr Hooke will convene an implementation committee to be chaired by former Newmont executive Paul Dowd. Other companies backing the plan are Anglo Coal, Downer EDI, Barrick Gold, Minara Resources, Newcrest Mining, Ausminerals, Thiess and Newmont Asia Pacific. Several industry bodies declined to comment. NEARLY one in five Rio Tinto investors has voted against the company’s remuneration report in a revolt by Australian shareholders at the mining giant’s annual meeting in Sydney. In the latest example of investor angst after a tumultuous year, high-profile director and Melbourne business luminary Sir Rod Eddington was returned to the Rio board despite 63 per cent of Australian shareholders voting against him. His position was assured by support from investors in Britain and China. But new chairman Jan du Plessis promised to reach out to shareholders as a vote approaches on a proposed $US19.5 billion ($A27.5 billion) investment in the world’s third-largest mining company by Chinalco. Mr du Plessis, who will meet a group of shareholders in London next month, said he was committed to the deal. “I will go out of my way to find out what people really think and what people really feel,” he said, after he was elected chairman, succeeding Paul Skinner. The 400 or so mostly retail investors at the meeting could barely contain their anger over the miner’s debt-fuelled purchase of Alcan, its refusal to engage with merger proposals from BHP Billiton and its decision to turn to Chinalco to help it out of its financial quandry. The tone of the meeting was in stark contrast to Rio’s annual meeting in Brisbane last year, when a generally satisfied bunch of shareholders had plenty of praise for their board and not one suggested the board engage with BHP. Since then, metal prices have plunged and the Alcan purchase has weighed on the company like an albatross. But despite shareholder outrage over the Chinalco deal, Rio did not make clear how any of the objections would lead to a change of the terms or the board’s recommendation. From the investor reaction to date, it seems there is a chance of the proposal being voted down. Such a vote would cause serious problems for Rio, which has already signed a binding deal with Chinalco. As shareholders vented their anger yesterday, the outgoing chairman, Paul Skinner, appeared to tacitly admit for the first time that the 3.4-shares-for-1 bid from BHP — once deemed by chief executive Tom Albanese to be “ballparks” away from fair value — would not significantly undervalue Rio in today’s market. Mr Skinner also noted that, in a shareholder vote at the time, 97 per cent had supported the Alcan purchase. The negative comments about the Chinalco deal and the board’s previous decisions — along with 19 per cent of the register voting against the remuneration report — show Rio shareholders are no longer as trusting. One shareholder asked Mr Skinner if the Chinalco deal could in time look as foolish as the decision to buy Alcan at the top of the market.